Considered as a tropical paradise just 140 km south of Manila, the Playa Calatagan is an exclusive seaside residential community that offers a lot only purchase in the outskirts of Batangas. Owned and developed by Landco Pacific Corporation, this luxury beachfront project is previously untouched by development and unspoiled for so many years. With a nature-friendly development, the Playa Calatagan is being innovated so that a privileged few could enjoy a paradise on earth which is just a 3-hour drive from Manila. With a neo-Spanish style of architecture, this awesome beachside property development has a laid-back ambiance and is a great place to unwind with family and friends while being a terrific spot to treat business partners to close that badly needed deal. Integrated with distinct amenities carrying the Landco brand of development, the Playa Calatagan (which is, fortunately, being managed by Fuego Hotels & Properties) will be the future destination south of Manila. You can buy a portion of this Landco developed property and build your own beachfront home and have the chance to utilize the whole development’s recreational amenities and world-class facilities right beside your abode. This 78-hectare prime development, which features rolling to gradually sloping terrain, includes a seaside condo development called the Playa Calatagan Residences which will be one of your neighbors. It is really a life at your leisure in the Playa Calatagan Batangas. The Playa Calatagan is located overlooking the majestic West Philippine Sea in Brgy. Sta. Ana, Calatagan, Batangas. The municipality of Calatagan is comprised of the Calatagan Peninsula lying between the West Philippine Sea and Balayan Bay. The town was previously known as the Forbes Park of the South because of the numerous rich families who own vast tracts of land. The town in itself is a famous vacation and leisure sites which has several beach resorts on its shore. The Playa Calatagan is touted to be the next big thing in the municipality. However, as far as the site is secluded from the noise and pollution of the metro, your family could enjoy the modern life the beach life offers. The Playa is less than 4km from the town’s southernmost tip where you can find the Cape Santiago Lighthouse (built in the 1890s) which is one of the main attractions in the peninsula. There are several schools located in the town of Calatagan and nearby municipality of Balayan. These schools include the STI College Balayan, Immaculate Concepcion College, Batangas State University- Balayan Campus, Balayan Colleges, Our Lady of Miracles Learning Center, St. Paul College Balayan, Core Science Academy, Calatagan National High School, and the Bagong Silang Elementary School. Moreover, medical care will not be an issue when you decide to stay at the Playa Calatagan. There are several medical institutions near the beach which can be easily reached within minutes. Medical facilities, like the Calatagan Medicare Hospital, the Western Batangas Medical Center, Metro Balayan Medical Center, Bayview Hospital, and the Don Manuel Lopez Memorial District Hospital, are all reachable within minutes via the Calatagan Highway. Some of the establishments that sell basic everyday necessities near the Playa Calatagan include the Andre Jazira International Corp. (a shopping mall), Calatagan Public Market, Me & City Shopping Mall, Essil Drugstore and Gen. Merchandise, and the Walter Mart Balayan. Phase 1: Lot sizes range from 274sqm to 469sqm (with only 60+ available lots). The types of lots on the first phase include the following views: Without sea view, temporary sea view, with mountain view, lots beside an amenity, and lots with a second-floor view. Phase 2: This phase offers lots sizes ranging from 555sqm to 582sqm (with only 3 lots available). You can pick a lot with a mountain view and prime lot cuts. Phase 3: This phase introduces you to lot sizes that range from 250sqm to 400sqm (with 90+ saleable lots). The views available are temporary sea view, lots beside an amenity, lots with a second-floor view, and prime lot cuts. Phase 4: With only 17 lots on offer, Phase 4 will give you lots without sea view, temporary sea view, corner lots or beside an amenity, hilltop lots with sea view, and lots with a second-floor view. LandCo Playa Calatagan in Calatagan, Philippines is a premier Lot Only project available for sale. If you're looking to rent or purchase Playa Calatagan, then check here first. We have full details of Playa Calatagan updated regularly as well as everything you need to know about the availing and booking process, broken down into stages that includes selecting a unit, choosing a payment plan and buying your dream home at the right price. For price list, free site tripping or showroom visit, personalized service, model house, unit plans, floor plans, payment terms, CHAT LIVE with an agent 24x7. We are Remax Perfect Homes. Always only buy from PRC licensed Real Estate Brokers and Agents. The Playa Calatagan Batangas is also offering tours and accommodations for guests. If you will build your home on your purchased property, you could rent it out from these guests who want to stay a night or two at the resort, with minimal restrictions from the management. Additionally, the management shall oversee and maintain your property and see to it that all mess is taken cared of when the guests leave, with a minimal fee, of course! However, you have all the freedom to pick the right day of the year where you want to lease out your unit. You can also tell when you will personally use your property together with your family. The proximity of Playa Calatagan from Manila makes it more enticing as a weekend gateway from people who want to escape the heat of the metropolis where they come in droves. This the perfect time that you could earn sustainable income while you and the family are out of town. For more details about this leasing option and how to reserve for this awesome property, kindly contact our licensed real estate broker on this website. Those who are longing for a beachside home will now have the chance to own one. The Playa Calatagan is an ideal reprieve for retirees or those who retired early to enjoy life as it should be: comfortable and yet exciting. This amazing beachfront property can make the young at heart live in a society that will treat them as active people willing to explore more in life. The pristine waters of the ocean and the serene environment of verdant trees and with lots of activity to do will keep the oldies more active and healthy as they will also breathe the cleanest air right at their own home. They will not be intimated of the secluded location of the Playa Calatagan as there are several medical institutions nearby. Shopping for their needs is not also an issue as there are numerous establishments near the Playa that will provide their needs. And what else? As they grow old, they will have something to leave behind for their loved ones. Nothing less, but lots of value to be appreciated! The Playa Calatagan has more plans for its expansion. With Landco’s signature development, the site is sure to maintain its beauty and elegance through continues development without destroying the environment. In fact, the site has a top-of-the-line drainage and wastewater treatment that will not pollute the surrounding. As a Leisure Tourism Estate, the Playa Calatagan is a luxury seafront property built to lasts more than a lifetime. If you are in any doubt about this massive development project’s viability as an investment, think about Landco Pacific Corporations’ reputation and achievements in the field of engineering and land developments. The upward trend of the company’s sales over the years had been consistently maintained which just prove that the company is worth every peso of your investment. As the Philippines is blessed with abundant natural surroundings, the company believes that it is only fitting to enhance the underdeveloped seafront properties for others to enjoy and take pride in. You too can be proud of having a property closer to nature. Landco is known as the builder of leisure properties in the Philippines. The company has consistently pioneered innovative and outstanding lifestyle products which revolutionize the way people live, the Leisure Tourism Estate of the Playa Calatagan is proof of the company’s ardent mission of bringing quality developments without the high price tag. Luxury living is Landco’s expertise and the company is doing this for the last 25 years. 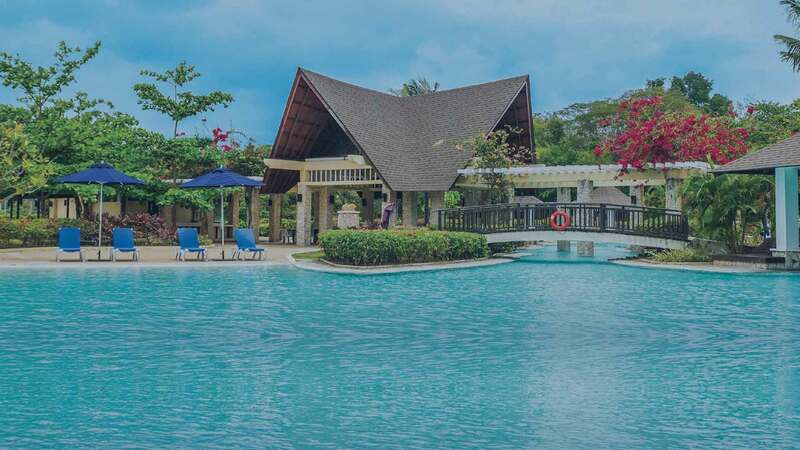 Aside from the Playa Calatagan, some of the delightful properties developed by the company include the Hacienda Escudero Tiaong Quezon, Peninsula de Punta Fuego Nasugbu Batangas, Terrazas de Punta Fuego Batangas, Playa Laiya San Juan Batangas, and Playa Azalea (in Samal Island), among others. The company had set the benchmark for high-end seafront living in the country, you will never be wronged of your minimal investment at the Playa Calatagan Batangas.